1. 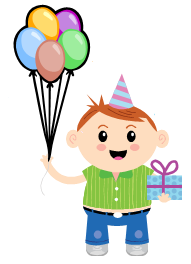 A 20kg boy holds a number of helium balloons each with volume 5000cm3 and mass 3g. How many balloons can the boy hold before he starts to be lifted off his feet? Hint: Solution: 2. Slack lining is doing tricks while standing on a rope stretched between two trees as shown in the photo. A 60kg person standing in the middle of a 5m rope causes it to go down 50cm. Calculate the tension in the rope.